British Beatles Fan Club: Beatle Week Schedule for the Cavern's Resident Merseybeat Band - The SHAKERS!! 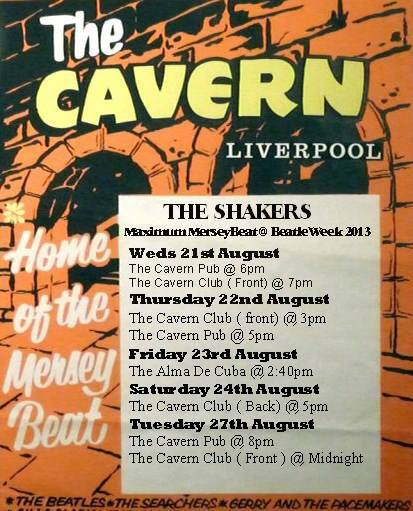 Beatle Week Schedule for the Cavern's Resident Merseybeat Band - The SHAKERS! !